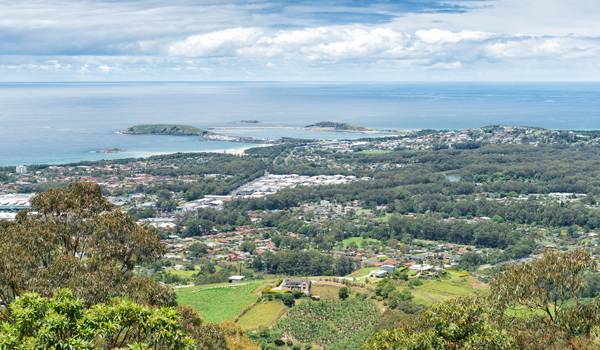 The NSW Government has opened a new Coffs Harbour office that will provide a home for 70 staff from the Department of Industry and Local Land Services, providing a modern and flexible workspace that will improve public sector efficiencies and service. Member for Coffs Harbour Andrew Fraser said the department’s lease is part of a newly-constructed three storey office block at 30 Park Avenue, which has been built by C Build Constructions (North Coast). 'The NSW Government is committed to supporting decentralisation and this new office will ensure Coffs Harbour-based government workers have facilities on par with metropolitan agencies,' Mr Fraser said. NSW Department of Industry Deputy Secretary Shaun Smith said the new office will bring together staff from five locations and provide for collaboration and workspace that can now leverage the broader functions of the department. 'The office will provide a modern and flexible workspace for our Coffs Harbour based staff and supports the Department of Industry’s broader role in industry development and trade and investment,' Mr Smith said. Government employees attended a welcome event at the new office today which included an Aboriginal Welcome to Country and smoking ceremony with Garlambirla Aboriginal Elder, Mark Flanders. The new office will be occupied from next week.